Probably the most famous Pisco drink of them all—and for good reason!—the Pisco Sour is similar to a margarita, with the frothy addition of egg whites. My recipe is pretty standard, with a simple swap of agave nectar for simple syrup. Key limes work best, if you can find them! In a shaker (or a jar), combine all ingredients except the bitters and fill halfway with ice. Shake vigorously (with all your might!!) for at least 10 seconds. Strain into 2 glasses and top with a couple drops of bitters each. 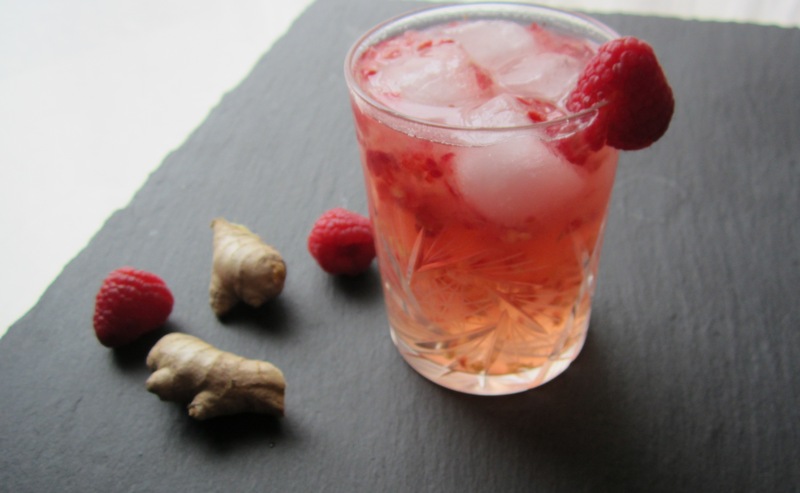 Be forewarned, this drink tastes like candy…delicious Raspberry-Ginger candy! In each glass, smash together 2 raspberries and 1 teaspoon ginger. Fill each halfway with ice, then add the pisco and the ginger ale. Stir to combine. Both being made from grapes, Pisco and wine are destined to go together! 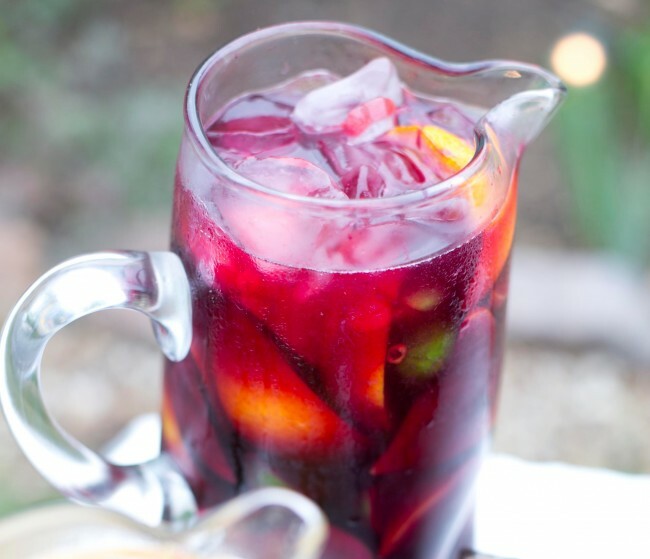 Especially when you turn them into a fruity, delicious sangria! In a large pitcher, squeeze the juice from the fruit and then cut them into segments. Add the fruit segments to the pitcher, along with the wine, pisco, cointreau and the cinnamon sticks. Allow the mixture to marinate for at least 2 hours. Just before serving, add the ginger ale and the ice. 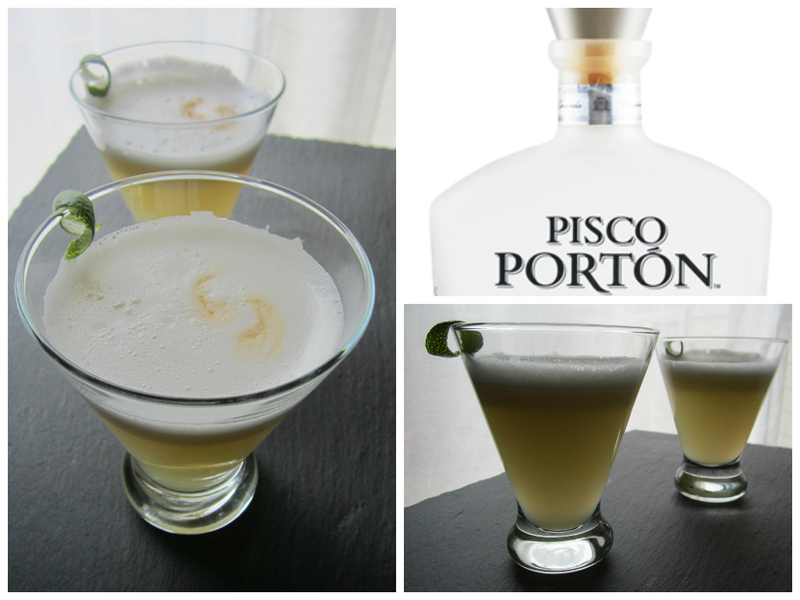 2 Responses to ¡Cheers to Pisco! Thank you for these cool colorful refreshment receipes, can’t wait to try them out as soon as the Florida heater kicks on! They were delicious! Hope you enjoy them!